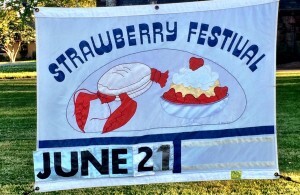 The Falmouth Strawberry Festival 2014 will be celebrated on June 21st marking an official start to the 2014 summer season. This is your opportunity to enjoy beautiful Falmouth Cape Cod on the grounds of St. Barnabas church. 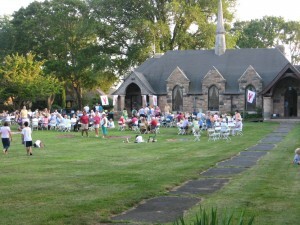 The church is located across from the historic Falmouth Village Green and a short stroll into Falmouth Village. 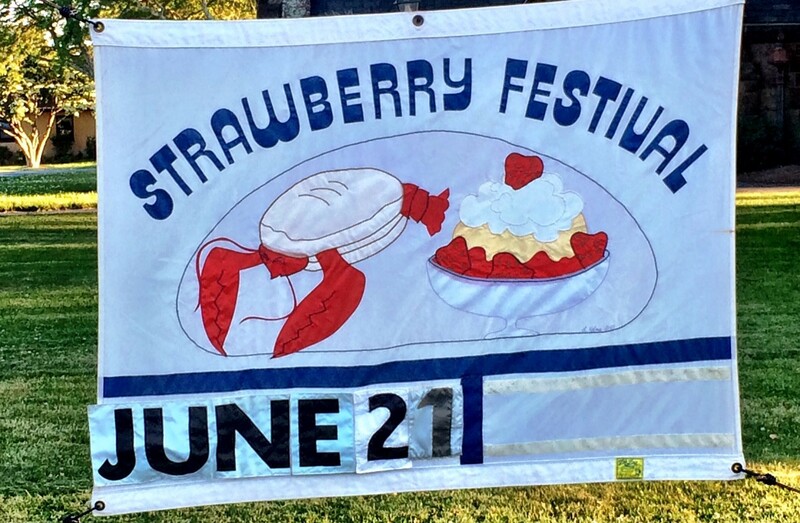 Save your appetite so you can enjoy lobster rolls, hot dogs and bbq chicken then finish off with scrumptious strawberry shortcake under the tent on St. Barnabas lawn. After indulging your appetite browse the Arts and Crafts vendors, home baked goods sale, plant sale, face painting, dunk tank, and small children’s games. The weather forecasters are predicting absolutely picture perfect weather for the weekend. We make a point of visiting the strawberry festival and filling up on their great bbq chicken while making sure to save room for strawberry shortcake. Our guests love the feel of the festival as it brings them back to a simpler time of town celebrations with good food and entertainment on the lawn. After the festival take some time to walk into Falmouth Village and explore the many boutique shops with unique gifts and perhaps some salted caramels from Ghelfi’s or ice cream for Ben and Bill’s Chocolate emporium. As the weather is predicted to be fabulous perhaps a walk to the beach in in order and less than a mile from St. Barnabas.